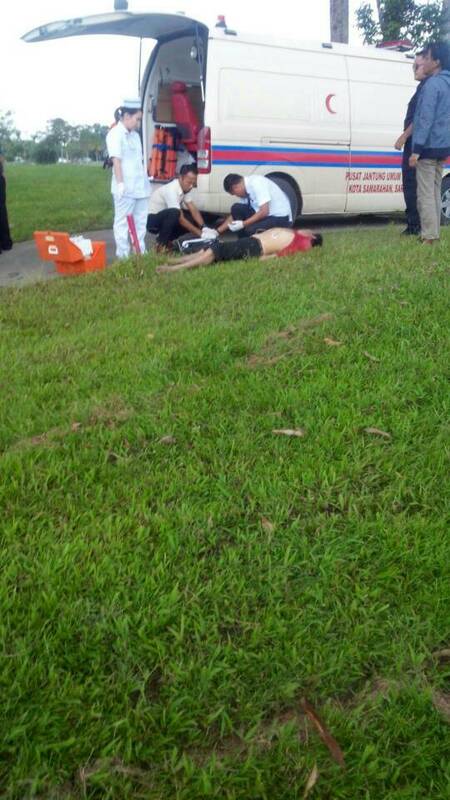 KUCHING: A man in his 40s is believed to have died from heart attack at a golf course in Kota Samarahan near here at noon on Tuesday. The victim was known to be at the golf course to collect lost golf balls and resell them to golfers. He was seen coming at noon and security personnel at the golf course saw him collapsed half an hour later. An ambulance rushed to the scene but paramedics failed to revive the man. His family members from Siol Kandis near here came to the gold course to bring him back for burial after they rejected a post mortem to be conducted on the deceased. Man dies at golf course 0 out of 5 based on 0 ratings. 0 user reviews.